"A fascinating and detailed history of American mass demonstrations"
"Explores protesting as an act of faith . 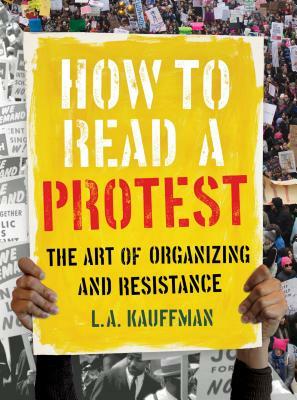 . . How to Read a Protest argues that the women's marches of 2017 didn't just help shape and fuel a moment—they actually created one." "A seasoned activist shares her wisdom on the struggle for social change, using political movements such as Black Lives Matter, the Women's March, and the Bonus Army as examples." “For a first draft of history still in the making, Kauffman is right to focus on the broad scale and wide impact of the Women’s Marches of 2017. As she persuasively shows, marches need not be the apex of a movement’s rise; they can also be its generative soil."